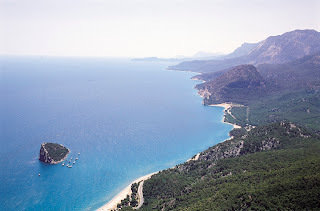 Turkey one of the most beautiful and liberal middle eastern country with a variety in culture because of its location and such an interesting and detailed and interesting past. A Eurasian country which has seen so many different kinds of rulers from time immemorial was finally liberated by a cadre of young military officers, led by Mustafa Kemal Atatürk and his colleagues organized a successful resistance to the Allies; in 1923, they would establish the modern Republic of Turkey with Ataturk as its first president. Turkey is a founding member of the United Nations (1945) and non permanent member of EU. It is located mostly in the Anatolian peninsula geographically situated in Western Asia in East Thrace in Southeastern Europe sharing its border with eight different countries(Bulgaria , Greece, Georgia, Cyprus, Armenia, Azerbaijan, Iraq and Syria ) and 4 different water bodies namely black sea in its north and mediterrian sea covering south and southwest region while the Aegean Sea to its west and The Sea of Marmara. The European portion of Turkey, known as Thrace encompasses 3% of the total area but is home to more than 10% of the total population. Because of the mixed tradition which is ever evolving and changing with time turkey has some really beautiful monuments for the tourist to se and learns about the glorious past of turkey. Some of the most famous and admirable places one must not miss when they are to visit turkey are Blue Mosque, Sultan Ahmet Camii is one of the most beautiful mosques ever built. Completed in 1616 by Mehmet Aga is among the best in its class an eye candy to all. Aspendus is located in the ancient region of Pamphylia was a Greek colony since 13th C BC and took over an existing settlement of Hittites. 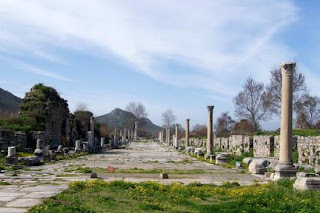 Alexander the Great claimed the city from the Persians and during the Roman period it was an important port city and now a world famous tourist site.